The study analyzed about 60 cases and found about half of the players required surgery, while the other half recovered with non-operative care. Researchers also discovered about 20 percent of them never returned to play in either treatment category due to the injury. In the last 20 to 25 years, I have seen a change in my office with this happening more and more in younger athletes. The good news is these younger athletes are less likely to require surgery because the disc will regenerate itself, compared to the older NBA athletes like in this study, where 50 percent required surgery. 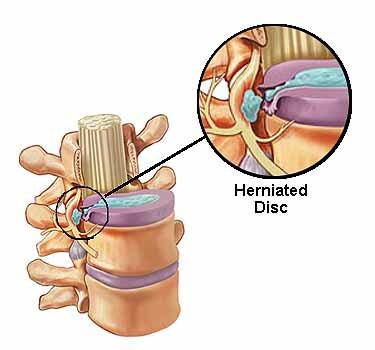 Last week, I spoke with 1590 WAKR morning show host Ray Horner about this study, the 3 stages of herniated discs and treatment options. HORNER: What did you want to bring up with the listeners this morning? CONGENI: Well, you know, there’s one study that came out in our clinical journal of sports medicine that we were talking a little bit about. It was a multiyear NBA study that looked at, uh, herniated discs. And, a lot of people think, boy, that happens mainly in adults, but I have seen a real change in the last 20, 25 years of my practice. I see that even in younger athletes. [When it comes to a] back injury, back pain and disc pain, there’s really 3 things that happen to the disc. No. 1 it bulges; it loses its normal shape from all the twisting and arching and movement of an athlete. No. 2, a little more severe, the ligament that holds the disc in place tears and it herniates, it’s called. 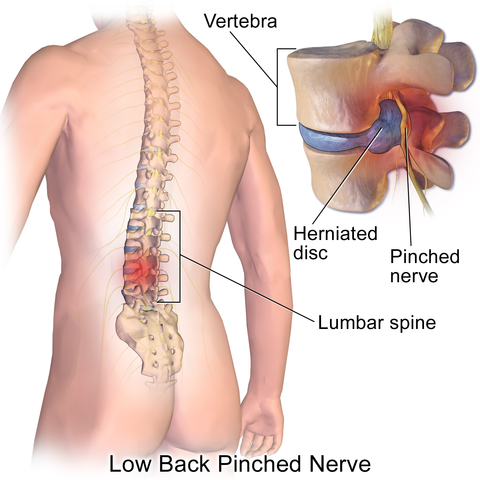 It means it slips out of place and can pinch on the nerves and cause a lot of back pain. The point is in young athletes it will recover much of the time with rest and rehab. The body will regenerate again. The good news for me seeing young athletes [is] we don’t have to do surgery on those. Most of the time if we get the athletes to rest and rehab, the disc improves. But, it was interesting in this NBA study. They looked at about 60 cases of NBA players in the last several years. … Out of the 5 positions, what position was No. 1 for disc injuries in the back of NBA players? CONGENI: You’re so good at always getting these. Center, exactly right. The 5 spot. CONGENI: The least was the point guard spot. HORNER: Yeah, I would think. CONGENI: Now, they looked at how many needed surgery and how many got better with non-operative care. And, it was about 50/50 overall for all comers of young people, NBA people, with back pain. However, the ones that were more likely to need surgery were the centers again — the heaviest people. HORNER: That’s what I was saying. CONGENI: 220, 250, 270. 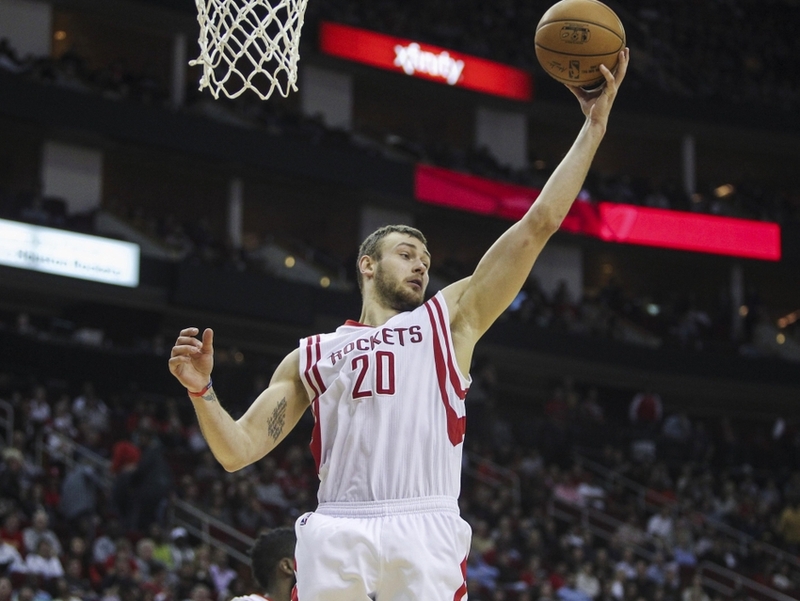 You know, you see some of those centers now, Mozgov and others, 270, 280, getting up near 300 pounds. CONGENI: … And then, the final thing they looked at how many of them never got back to play, and there is a good 20 percent of them that whether they were treated with a surgery or operation or without a surgery or operation, they never played again. So again, we look down the road to the pro athletes, but I do see this injury now in my high school and college athletes. CONGENI: The key is getting them to rest. If they don’t rest, if I can’t get ‘em for the first 3 to 6 months [to rest] — and I’ve had a few that are coming to mind for me right now. They’re lifting weights. They’re dancing, an Irish dancer that I had wouldn’t stop — then finally the disc just loses its chance to heal and they end up with chronic pain in the back. So, it’s really important to get them to rest and rehab. Rarely in the high schoolers do we need to do surgery. In this NBA study, about 50 percent needed surgery. HORNER: Boy, Joe, I remember going back in time when I was a high-school athlete, one of our assistant coaches … he was probably 28, 30 years old, had a herniated disc. I remember he had the surgery. He was in a wheelchair after the surgery for months. I guess what I’m bringing up is where are we in surgery as far as herniated discs? I mean, have we made a lot of advancements where people can get back out and participate or not? CONGENI: Yeah, we’ve made a lot of advancements. And so, like I said in this study, a lot of the people that had surgery returned the following season … to be able to play at the very highest, highest level of basketball in the NBA. And yes, there have been advancements like everything else. There’s the microdiscectomies, where they actually go in just like they do for your knee with an arthroscope. CONGENI: with a small scope, and actually fix some of the disc in some situations. Sometimes the bone needs to come off. Sometimes in the most advanced of cases, they have to do a fusion surgery, where they fuse bones together to get rid of that pain in the back. That’s the most, most advanced. HORNER: Is that what ended the career of Larry Bird (former Boston Celtics)? CONGENI: of course, I have to come back to Brad Daugherty. CONGENI: We wrote the story in our book about Brad … . He was supposed to be just reaching his peak as a big man in the NBA. He had 2 different discs. He wasn’t able to get better. He was somebody like in that study that had to give up his career, a promising young career, as it would be for us in Cleveland. HORNER: See, this is what I worry about, Joe, with LeBron having some back issues. I just hope he’s okay. CONGENI: Yeah, we don’t know the detail and the extent of that. CONGENI: Remember, he had the couple of epidural injections that everybody’s talking about. CONGENI: We think that maybe it’s just some early stage. So, the earliest is the bulging, the, you know, early, mild, uh, herniation, and the more significant herniations are degenerative. And, we all have to hope that he’s got several more years on him. CONGENI: Because they built this team with some younger players too, and they are starting to come together, but they built this team really around, uh, having at least his wisdom and his input. HORNER: No doubt. Good stuff, Joe. Thanks for coming in. CONGENI: Okay. Thanks, Ray. Have a great week. HORNER: You too. Dr. Joe Congeni, Sports Medicine Center at Akron Children’s Hospital, joining us live this morning here on 1590 WAKR News Talk Sports.